My name is Brent and I’m an actor, singer & voice over artist who has worked with such companies as Ordway Theatre, Stages Theatre Company, DalekoArts and a bunch more. Have a look around and get to know me better. Favorite credits include:Rabbit Hole (Howie), Disney and Cameron Mackintosh’s Mary Poppins JR. (George Banks), A Christmas Story, the Musical (Ordway), Godspell (Starting Gate Theatre), Bear Snores On (Stages Theatre), The Odd Couple (DalekoArts) and Our Town (Theatre in the Round). 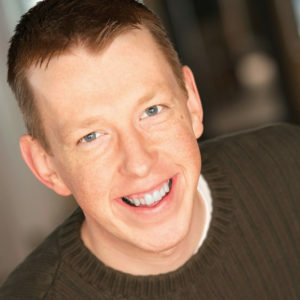 Brent holds a Theatre Performance degree from Minnesota State University, Mankato. He also works as a commercial, film and voice over actor and has been seen & heard in commercials for: Utopia Wireless, Explore Minnesota, Rapala, Leeanne Chin, Best Buy, among others.